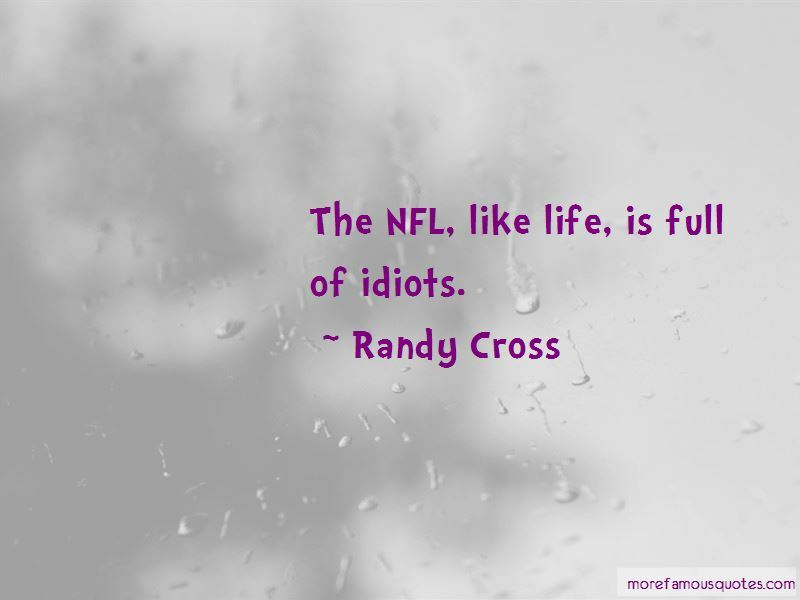 Enjoy the top 3 famous quotes, sayings and quotations by Randy Cross. They're hitting harder now more than ever. The only person who would argue that is someone who has never had a physics class. 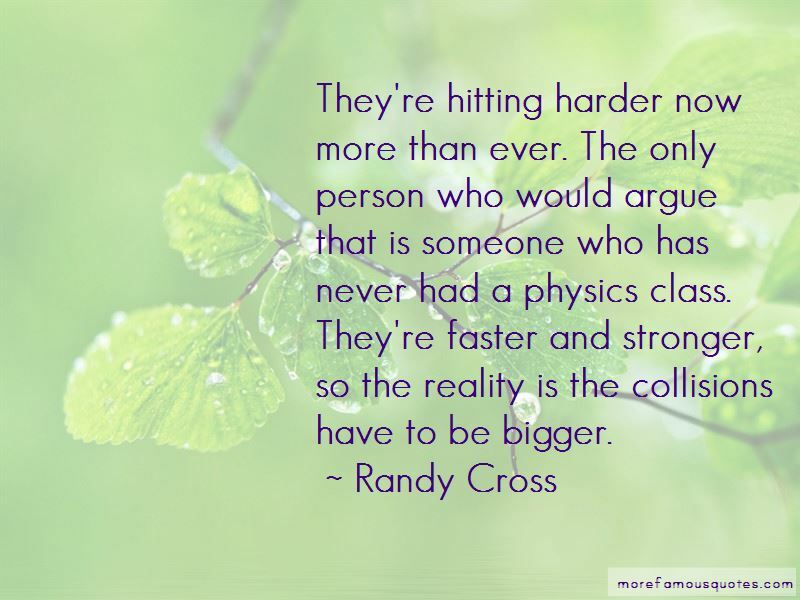 They're faster and stronger, so the reality is the collisions have to be bigger. 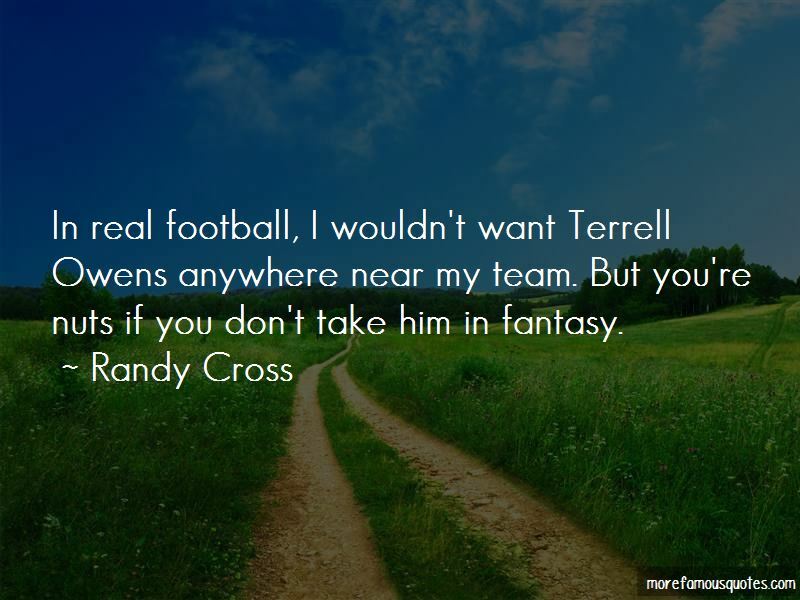 Want to see more pictures of Randy Cross quotes? Click on image of Randy Cross quotes to view full size. “Destiny is real. And shes not mild-mannered. She will come around and hit you in the face and knock you over and before” — C. JoyBell C.
“This isnt some romance novel or sappy movie. This is real life. We like you and we want you to like us. I” — Anonymous.